As Crete is the largest Greek island and a very popular tourist destination, there are many ferry connections to Crete from Athens and other islands. Located on the southern side of the Aegean Sea, the ferry to Crete takes many hours (about 6-7), which is why many passengers choose to travel overnight and stay in a cabin. Daily ferries to Crete depart from the port of Piraeus, the main port of Athens. In summer, there are 4-5 daily ferries to Crete from Athens and some are overnight. Ferries to Crete arrive at the ports of Heraklion or Chania. The ferries to Heraklion are served by the ferry companies Minoan Lines and Anek Superfast, while ferries to Chania are served by Anek Lines. 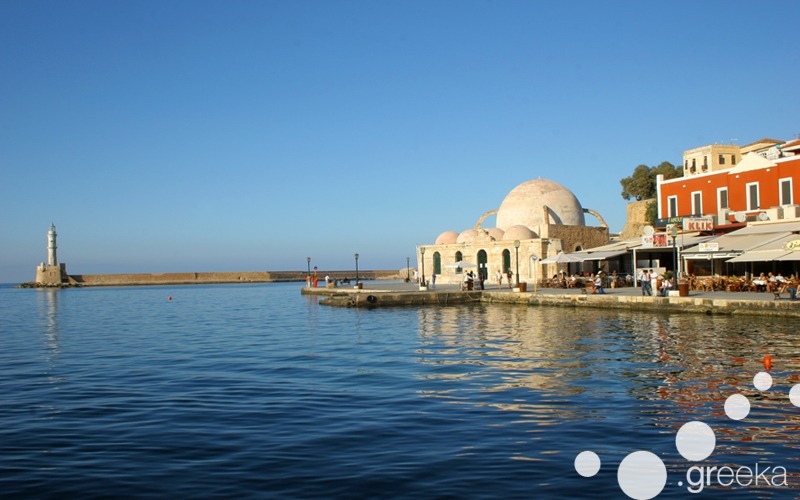 In summer, there is also a ferry from Piraeus to Sitia, a small port town in eastern Crete, but this route is usually launched once per week and the trip is very long (about 20 hours). In summer, there is frequent ferry to Crete from the most popular islands of Cyclades. In fact, there is daily ferry to Heraklion from Santorini and Mykonos, the two most popular islands of Greece. Also there is daily ferry from Paros to Crete, ferry every other day from Naxos and once per week from Milos. Three times a week, there is ferry from Rhodes to the ports of Heraklion and Sitia in Crete, via the islands of Karpathos and Kassos. Three times per week, there is a ferry from Gythio in southern Peloponnese to Kissamos, a port town in western Crete, via the islands of Kythira and Antikythira. The busiest port in Crete is Heraklion, that serves as a transportation hub for the entire island. The port of Heraklion receives many daily ferries from Athens and in summer, it also serves ferries to various Cyclades and Dodecanese islands in Greece. The second busiest port of Crete is Chania, but it receives only ferries from Athens. In summer, the port town of Sitia in eastern Crete also receives ferries from few Greek islands. Are you looking for ferries to Crete? Check our Greek ferry booking engine!